We all know that the specific gravity of cold air is relatively large and will sink to the ground. The air conditioning cooling rate is easily absorbed by cement floor tiles, while the dry ground heating module is equivalent to the insulation layer on the ground, and the cold volume heating module is not absorbed by the dry ground heating module.In this way, the cooling capacity of air conditioning is prevented from being absorbed by cement, the utilization ratio of cooling capacity is greatly increased, and the loss of air conditioning air conditioning in summer is reduced, thus making the air conditioning more energy saving and electricity saving!Energy saving ratio refers to the downward heat transfer loss of 30%. So the heat insulation of dry-heating module makes summer air-conditioning more comfortable and energy-saving,This is particularly suitable for rigid demand for air conditioning or central air-conditioning of the majority of the owners! The result of the differential experience room is the same.Air conditioning in dry warm rooms will be more comfortable and cool in summer! 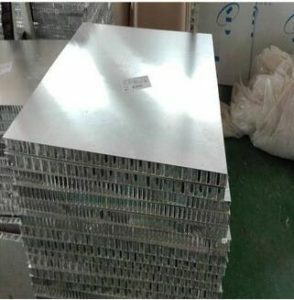 Really understand this, can match 20% of the air conditioning load, then central air-conditioning system, the performance-price ratio naturally increased.In short: help owners save 20% of the initial investment in air conditioning, let the owner add a set of energy-saving hot water heating system!Kill three birds with one stone!This is the aluminum sheet dry heating module for the home! Aluminum sheet dry heating module is not only the end of high efficiency heat dissipation in winter, but also the good insulation end of air conditioning in summer.